Spinal degeneration occurs naturally as we age with the normal grind of daily living. The discs naturally break down forming arthritic type changes. The joints start to decay, calcification builds up, and the discs lose their ability to absorb shock. Sounds very similar to tooth decay right? Well you know if you don’t continually take care of your teeth with brushing, flossing, rinsing and periodically seeing a dentist, the process occurs more rapidly. Spinal degeneration can occur at every level of the spine: the neck or cervical spine, mid back and lower or lumbar spine. You might not notice the pain at first but as it progresses more pain is felt. You can also notice restricted motion and reduced ability to perform normal activities. Almost half of the population aged 40 years or older experiences pain from spinal degeneration. After 80 years old about 80 percent of the population suffers with this condition. Studies have shown risk factors of spinal degeneration. By limiting these factors and promoting spinal hygiene, we can reduce degeneration and improve quality of life, especially as we age. From 1997 to 2007, 197 individuals were studied every 2 years using xrays to measure disc heights in the lumbar spine. It was found disc heights decreased at each level gradually over the years on average of 5.8%. The likelihood of disc degeneration increased more in females, those who had knee osteoarthritis and those who had back pain at the start of the study. Another study shows that smoking cigarettes increases disc degeneration, weakening of spinal ligaments and spinal instability. Evidence suggests that the severity of degeneration is worse in smokers than non smokers. Smoking causes physiological changes that increases the spinal decay. A study in the Journal of the Canadian Chiropractic Association shows the benefit of manual therapy on osteoarthritic knee pain. After just 2 weeks, those receiving manual therapy for 3 times per week for 2 weeks experienced less pain, improved movement and ability to perform general activities which were previously more difficult. Occupation hazards: If you do a lot of bending, lifting or long periods of sitting and standing without breaks. Sedentary lifestyle: Those not active without regular exercise have higher risk of back pain and severity of pain. Poor posture: Slouching, sitting at a computer, texting and other modern technology, driving hunched, bad sleeping positions and lifting things improperly or just some things that increase stress to the spinal segments. Hydration: 80% of your body is water. Most people are dehydrated which leads to tissues being “dried out”. Think of a sponge that you leave on the counter for an extended period without putting water on it, it will dry out and becomes brittle. Your muscles, tendons, ligaments and discs are similiar and become more fragile. Spinal degeneration can be reduced and prevented with spinal hygiene. I describe it like dental hygiene as previously mentioned in this article. It’s very important to limit the risks listed above. Work on your posture, keep active with exercise, maintain a healthy weight, stop smoking, stretch regularly while at work, use proper form lifting and bending, and keep properly hydrated (drink half your body weight in water) and limit products that contain caffeine like coffee or energy drinks as caffeine leads to dehydration. Most importantly go to a Chiropractor to help keep your joints moving and aligned. Chiropractic adjustments remove back pain and help reduce risk factors of spinal degeneration. Unlike tooth decay where you can replace your teeth, you are born with one spine that cannot be replaced! In our Freehold chiropractic office, we use a combination of adjustments, therapeutic stretching and exercises to get you the full benefits of care in preventing spinal degeneration. Let us help you live a long, healthy, active lifestyle! It’s important to find the cause of your hip pain. many sources. For some it’s due to athletics and injuries. Others it can be from a trip or fall. It can even be radiating from the lower back. The elderly are a big portion of those who suffer with hip pain. This pain can get severe for the patient to need a cane or walker to get around. If not treated properly the joint will degenerate and possibly need surgery. The quality of life is altered because not many normal daily activities can be performed. It’s important for a practitioner to analyze all areas. Too many times medical doctors look at the point of pain and miss the true cause. For hip pain it is so important to look at the arches of the feet, ankles, knees, and alignment of the pelvis and spine. Other times the hip problem can be causing low back pain or knee pain. Chiropractic takes a different approach at providing relief to patients suffering with pain. Chiropractors find the cause and using specific chiropractic adjustments give natural hip pain relief. Using various diagnostics from orthopedic tests, range of motion, flexibility testing of the hamstrings, quadriceps and piriformis muscles, and possibly x-rays, a chiropractor can help patients suffering with hip pain. This treatment is aimed at correcting the underlying imbalances that are causing the pain. 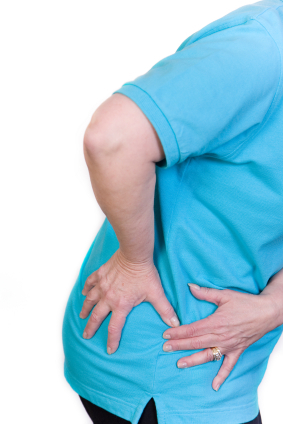 A large percentage of sufferers can obtain natural hip pain relief with chiropractic care. People suffering with back pain are given back pain exercises from many doctors and physical therapists. Studies have backed therapeutic exercise for the relief of conditions like back pain for a long time. Back pain exercises are more beneficial when chiropractic adjustments are performed first. As a chiropractor for the past 15 years and owner of Hometown Family Wellness Center in Freehold, NJ, it’s important to note that the exercise doesn’t correct the cause of the pain. For this reason, the back pain exercises are usually difficult for the patient to perform. Many times it irritates the cause of pain while exercising. Therefore patients are hesitant to do the activities. On top of that, the back pain exercises at best splint the area. There are limitations of this form of therapy because the joints are misaligned. These misalignments restrict the range of motion. Therefore when you do the exercise therapy, muscles can’t contract equally and maintain the instability present causing the pain. This leads me into new research that shows chiropractic adjustments enhance the benefits of back pain exercises! Swiss researchers took 42 chronic back pain patients and put them in 2 groups: 1) that received manual therapy including spinal adjustments before going into active exercise and 2) that received sham ultrasound therapy before doing the exercise therapy. 8 treatments were performed over a 4 to 8 week period. Assessments were performed before treatment began, immediately after the 8 treatments and again after 3 and 6 months. So What Was the Straw that Broke Your Back? The majority of times people come into our Freehold Chiropractic office with pain and they don’t know what was the cause. They either tell me that they woke up with the pain, they bent over to pick up something they dropped on the floor or something like I just got up from my chair and couldn’t move. So what was the straw that broke your back? Don’t Wait til the final Straw that Broke Your Back! head and neck to deliver you. Learning to walk you probably fell a couple thousand times. Do you have brother and sisters? If so, did you ever fight, push each other over? What do you think the effects of sitting at desks at schools or carrying heavy backpacks can have on your neck and back? Do you play sports and experience injuries? Sitting at a desk using a computer all day puts pressure on the neck, shoulders and back. Did you know there is a new condition called “text neck”? Think of texting on your phone with your head bent forward and down looking at that phone. Have you ever had a fender bender? Just a 3 MPH bumper hit is enough to cause a whiplash injury. Do you sleep on your stomach? If you sleep on your side or back do you use proper support with a pillow? When you lift things do you always bend with your knees using proper form? How about when you are exercising are you lifting the correct ways? If you are a woman and wear high heels, do you know the imbalances it causes throughout your legs and spine? Everybody wears shoes that aren’t properly fitted for them which causes foot pronation, which when walking like this is like driving a car with misaligned tires. So, there is no straw that broke your back! It’s the accumulative effects of everything you have done since you were born that has built up until your body cant take it anymore. Imagine never brushing your teeth or going to the dentist until you have pain or rotting teeth, driving your cars for years before getting oil, lube, filter or wheels aligned and breaks adjusted OR never having your air conditioner or heater checked until they break down. Instead you know it makes sense to do things to maintain your car, your teeth and appliances. Your spine is the most important part of your body as it protects your nervous system which controls all functions of your body. Doesn’t it make sense to maintain it? It deserves the best care to maintain and prevent problems. So don’t wait for the straw that broke your back! Chiropractors are the only doctors that help prevent and maintain your body and health! When was your last adjustment?